Satson Buss seems like an interesting take on Analog Console emulation. It's based on two high-end analog consoles, and for the price it's definitely worth a look. I can see using this on individual tracks as well as the stereo buss and group/buss masters. 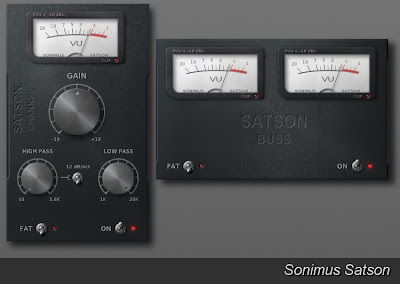 From the website:"Satson is a Plugin designed to emulate the workflow of the consoles on your computer and get better and faster mixes. It has a VU meter carefully modelled and calibrated, high quality high-pass / low-pass filters and analog console like saturation (includes stereo crosstalk)." ● Use the Gain control like a “trim”. ● Use the Gain and VU Meter to level the tracks (0VU = -18 dBfs). effect) which works great on drums. ● With OFF switch you can bypass the saturation, but the Gain, the VU Meter and the filters will still work. 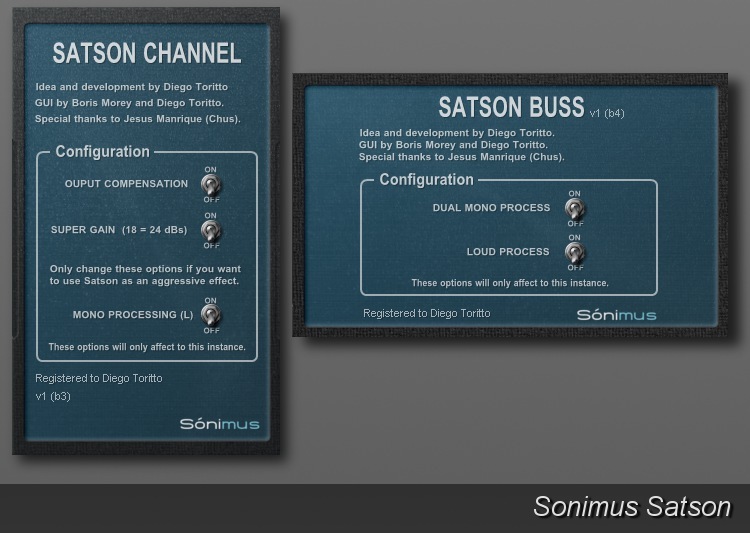 • OUTPUT COMPENSATION: This will automatically turn down the output as you increase the GAIN. This makes the gain function as a drive knob. • SUPER GAIN: This increases the range of the GAIN knob to -24/+24. 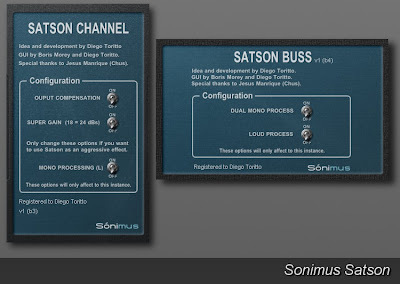 • DUAL-MONO: This switch turn on/off the stereo crosstalk. Note: When you make changes on the back panel of the plugin it's not a global setting but only applies to that one instance. "MrTramp2 is the sequel of GSi's previous plugin “MrTramp”, a physical modeling simulation of the soulful Wurlitzer(TM) 200A Electric Piano. What's different in this new version? Firstly, it's not compiled in SynthEdit any more, is fully programmed in C++ so is now also available for Mac OSX in both VST and AU formats; secondly, it takes way less CPU and RAM; furthermore, this is not the exact same algorithm as used in the previous MrTramp, this is a new revised formula which gives more 'bite' on the lower octaves and more 'body' on the high notes ."